Using limits that are fair, consistently applied, appropriate and understandable to your child's level. Providing your child with reasons for limits. Giving positive directions and redirecting your child to acceptable behavior. Helping your child to constructively express his/her feelings and frustrations to resolve conflict. Our staff will not use any type of physical or verbal abuse as a disciplinary measure. The administrative staff will have the final discretion in the consequences for these offenses. 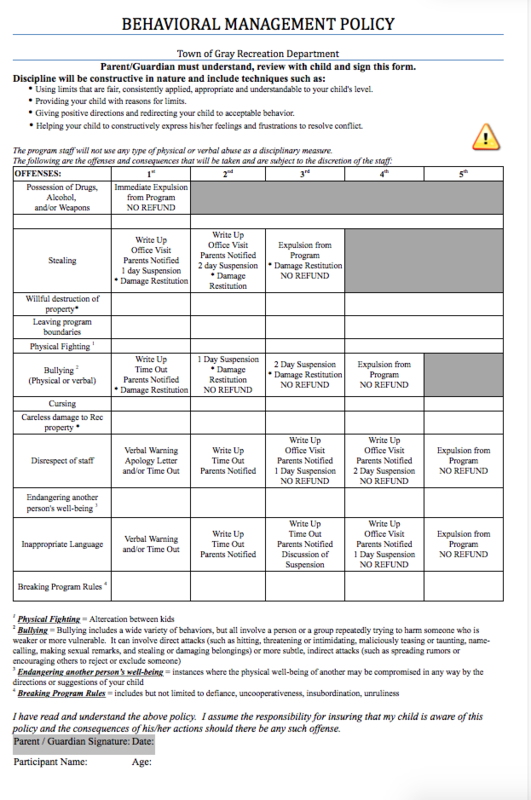 Read the full Parks & Recreations Department Behavior Management Policy.